-Player can attack with a Sword or Shoot with a Gun. 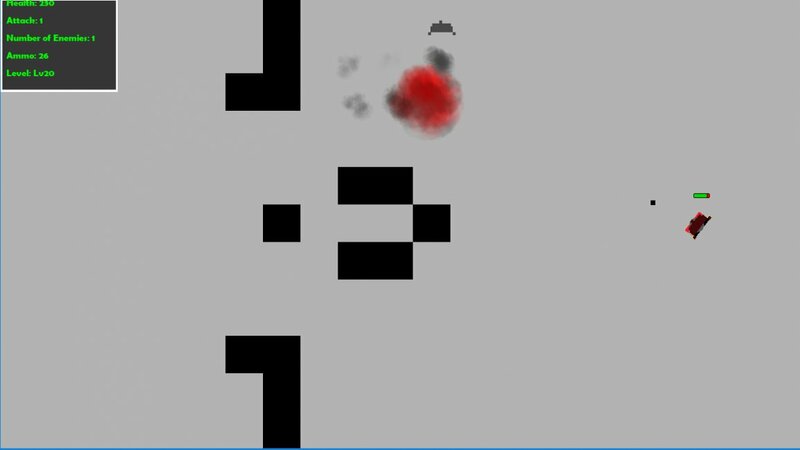 Player can also Dash and Shield. No more Auto Aim if you are on Keyboard. Auto Aim is still enabled for Gamepad Users. Lot's of small improvements could be done to the game. Objects seem to drift around like they're on ice, the player always face the same way while attacking, and it's hard to tell that you've beaten a level. The first two are simple things you can fix in code and the third only requires a "You won!" screen to pop up. Overall it could use some work but also has potential. Keep coding and improving! - Movement controls stop working after reaching the edge of the screen. Melee attack sometimes restores movement?? - Bullets go toward the nearest enemy, defeating the purpose of aiming/shooting.